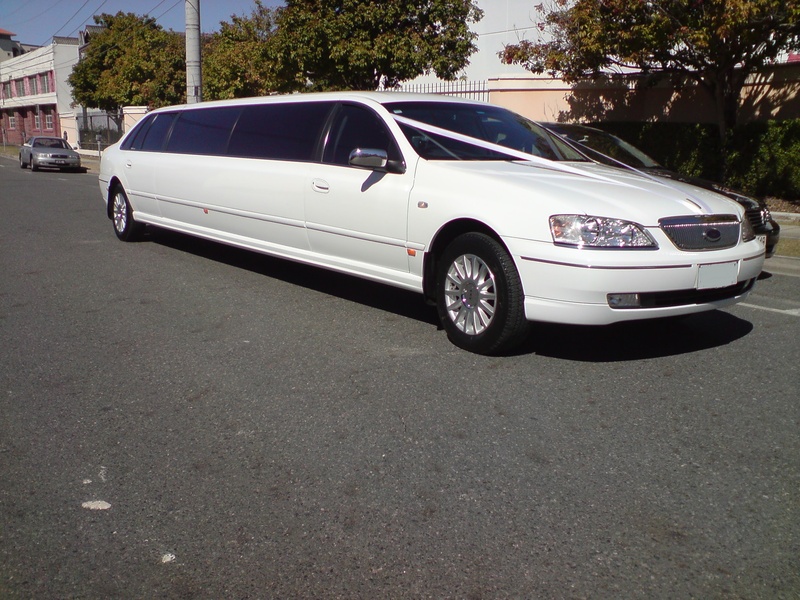 Brisbane Limousines is an established, family owned limo hire company located in Brisbane. Brisbane Limousine’s focus is to provide top quality limousine hire services at affordable prices. We achieve this without compromising. Our limousines are luxurious and immaculately maintained, our drivers are well trained and we pride ourselves on our commitment to reliability. Whilst maintaining these high levels of service and quality we keep prices low. At Brisbane Limousines we love what we do and would like to help you make your event special. Limo Hire Brisbane, Gold Coast, Ipswich, Toowoomba and Sunshine Coast – Call 0401 190 508. 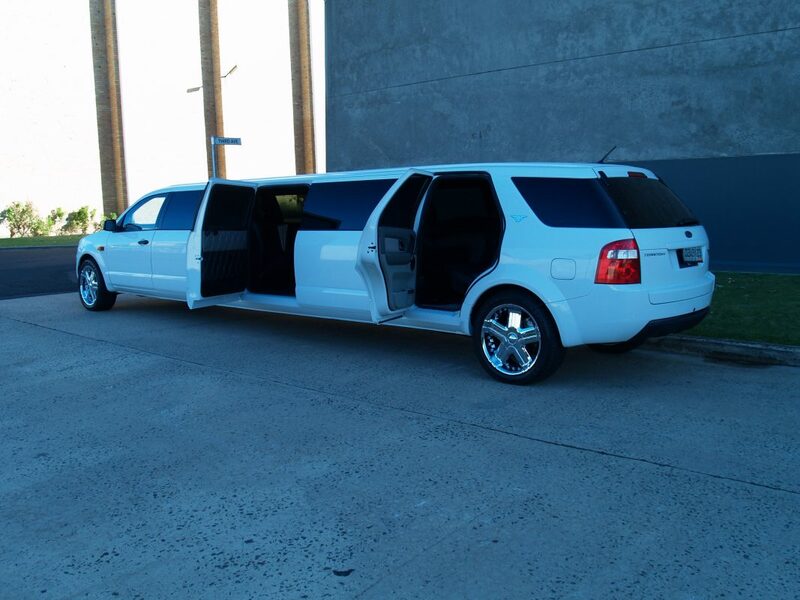 Brisbane Limousines provides a wide range of limousine hire services. First and foremost, Brisbane Limousines is dedicated to helping make special occasions even more special. We specialise in events such as weddings, hen’s parties, concert, cruise ship transfers, winery tours and other special occasions. 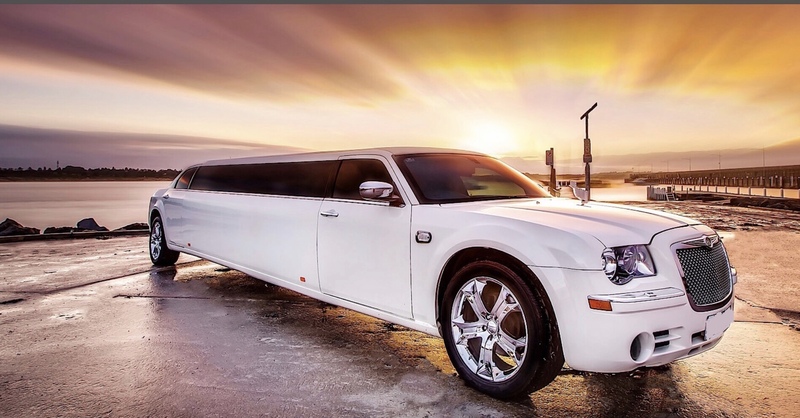 Therefore, if you’re looking looking to make your event special, Brisbane Limousines is enthusiastic to contribute by offering limo hire services tailored to your needs. At Brisbane Limousines we understand that it is your special day and you want to make it special by hiring a luxury limousine. To help achieve this, we put in the extra effort required to ensure you receive the best Brisbane limo hire experience. Importantly, our limousines are maintained to an impeccable standard. In addition, our well trained chauffeurs offer a high standard of service. As a result of this combination of quality and service, we are able to offer limousine services that make your event memorable. Brisbane Limousines is proud of our commitment to customer service and total client satisfaction is our goal. It is due to this that are staff go above and beyond to ensure you are happy. First of all, we believe in making the limousine hire booking process easy. 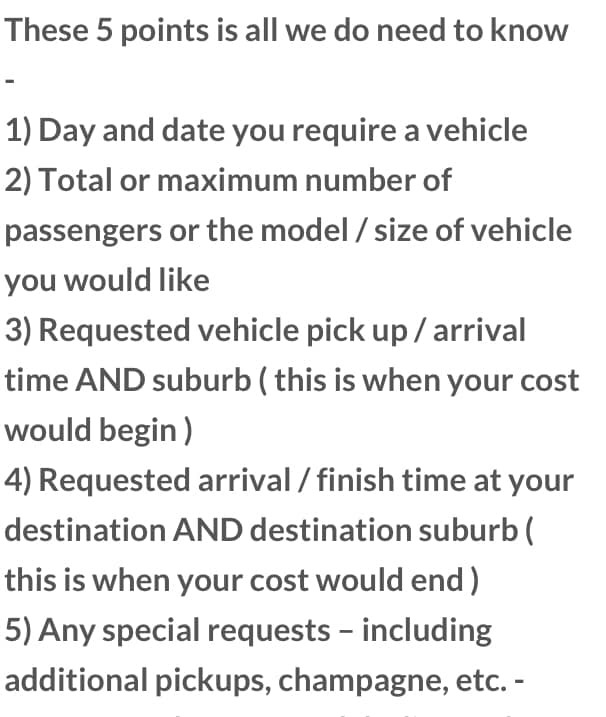 To do this we make our limousine hire quote forms easy and fast to complete. In addition, we publish indicative limo hire prices on our website. Secondly, we try to respond to all limousine booking enquiries as fast as we can. In fact, we respond to over 90% of all limo booking enquiries within one day. And finally, we want your feedback. To achieve this, and to collect as much information from our important clients as possible, Brisbane Limousines sends our a feedback form to each client after their booking. This allows customers to provide valuable feedback on their limousine hire experience and for us to improve our services. We believe in providing great value chauffeured limousine services. Above all, no spare no expense on our limousines which are luxurious and well maintained. At the same time, we believe in keeping our prices low and offering transparent pricing with no hidden surprises. For this reason, our approx prices are fully inclusive and published online. As a matter of fact, we encourage you to get other quotes on comparable vehicles from other established professional limousine providers. If you take this step it will help to display just what great value they are. Consequently, we hope you’ll love our prices, as available on our prices page. Of course, the prices we list on our website are just a small sample of the types of services we provide. Therefore, we welcome all inquiries and we are happy to quote on tailor made limo hire packages to suit your needs. In addition, if you receive a better quote on a comparable vehicle, we’re more than happy to see if we can beat it. As such, we encourage you to contact us for an obligation free quote. 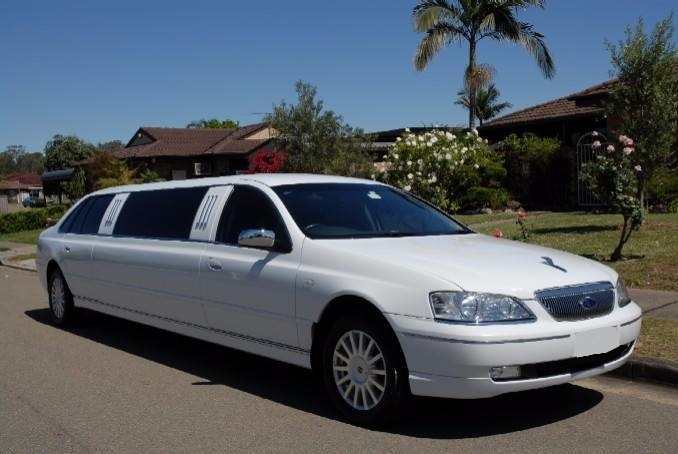 Brisbane Limousines specialises in limo hire all over South East Queensland. As a consequence, there’s a good chance we can service your limo hire needs. For information on our wedding limo hire, please visit our dedicated Weddings page and start planning for your wedding transport needs. 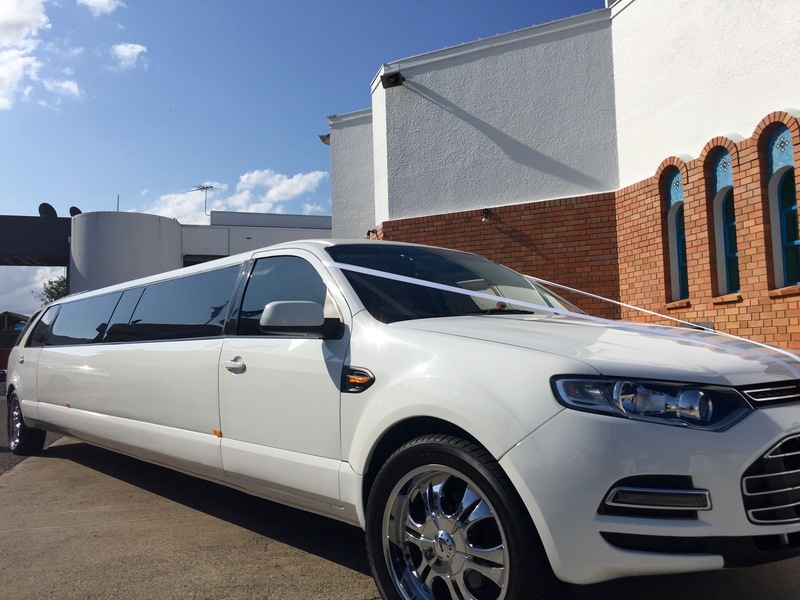 Brisbane Limousines wedding limousine hire includes all the necessities such as champagne, a luxurious red carpet and a white wedding ribbon which makes the limousine immediately identifiable as a wedding car. We offer wedding limousine services in Brisbane, on the Gold Coast, in Ipswich and in all surrounding areas. Taking you and friends to beautiful places in limousine comfort. Brisbane Limousines offers full day wine tours, cruise ship day tours and city tours. We can customise our limousine tours to meet your exact needs.